FOX’s ‘Gotham’ brings us back to a time where Batman has yet to don the cape, and a young Jim Gordon struggles against Gotham’s rotten core. Outside of Batman and (debatably) Superman, DC hasn’t always had the best of luck when it comes to their movies, but they’ve had quite a bit of success in the TV space. Numerous great animated series and live-action programs such as Smallville, the excellent Arrow, and the upcoming The Flash have given DC a solid foothold on the small screen. Batman remains their most popular property. A few eyebrows were raised when a live-action show set in Gotham without the “world’s greatest detective” was announced, so right off the bat Gotham had a lot to prove. Does it manage to answer all of its doubters? I would say it’s too early to tell. The setup for the series is something all Batman fans are familiar with: The murder of Thomas and Martha Wayne, witnessed by a young Bruce Wayne. This crime acts as the catalyst here for fresh faced GCPD detective Jim Gordon and his descent into Gotham’s criminal underbelly. Where this series will live and die is its ability to set itself apart from the well-known Batman stories, and the Jim Gordon (Ben McKenzie) shown here is certainly a far cry from the previous Gary Oldman version. He’s young, eager, and seemingly full of anger following his time in the war. His “do-gooder” methods are at odds with how the GCPD seems to be run, where it seems to be better to shoot first rather than look for a peaceful resolution. This is perfectly embodied by Gordon’s partner Harvey Bullock (Donal Logue) who seems to be in deep with some less than savoury characters. The Gordon presented to us in the pilot was a little too hard faced for me. Hopefully it’s just down to the usual pilot issues that TV shows suffer from, but we only really got to see a rough side to him. Far better utilized here was Bullock, who immediately became a rather interesting character. I got the sense from him that he isn’t necessarily a really bad guy, he just understands that there’s no hope of winning the war against the criminal element in Gotham, so he’s given up. Of course he’s also lining his own pockets as he goes, so he’s not that good of a guy either. I’m looking forward to seeing how the Gordon/Bullock partnership grows over the coming weeks, especially considering Gordon will be covertly working against Bullock, while Bullock believes Gordon has embraced his way of life. As I mentioned above, Gotham will have to find a way to stand on its own without relying on the crutch that is Batman, but seeing as it introduced us to familiar characters, it may be hard to do. Without counting young Master Wayne himself, younger versions of The Riddler, Catwoman/Selina Kyle, Poison Ivy, and The Penguin were all introduced here. My worry is that with so many Batman rogues introduced, it’s only going to make the Batman-shaped hole in the show even more noticeable as they rise to power, but the material introduced here wasn’t all bad. While The Riddler and Poison Ivy only had very brief appearances, Selina Kyle and especially The Penguin/Oswald Cobblepot had a lot more to do. Selina witnessed the murder of the Waynes, and despite not actually meeting Bruce, she seems to have forged a connection with him. 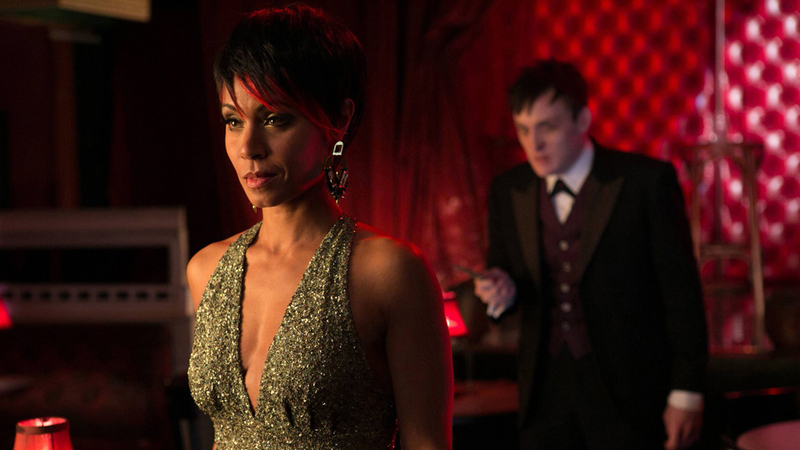 Cobblepot (Robin Taylor) got a lot of screen-time as the sadistic and conniving lieutenant of Fish Mooney (Jada Pinkett Smith). Cobblepot and Mooney’s scenes together were some of my favorites from the pilot, and after Cobblepot’s betrayal of Mooney and “death,” it should be fun to see how he can work his way back up through the criminal underworld to eventually become The Penguin proper. Also doing impressive work was David Mazouz as Bruce Wayne. From his tortured outcry after the death of his parents right through to his steely display of conquering his fears, I can already imagine this kid growing up to be Batman. Following Bruce around at every turn is his faithful servant Alfred, although people expecting a Michael Caine style Alfred this time will be sorely disappointed. Sean Pertwee’s Alfred seems like he’d snap your wrist if you asked him to make you a cup of tea, and this kind of portrayal is exactly what I’m looking for when I talk about wanting the show to deviate from the norm. It’s not too clear how much we’ll see of Bruce and Alfred over the course of the series, but I’m already looking forward to their next appearance. Another character who will probably only pop up intermittently is Carmine Falcone (John Doman), the ruler of Gotham’s underworld. What Falcone hints at is a certain order to the crime in Gotham City, where nothing happens without his say so, and the police know their place in his city. It’s a fascinating angle that I’ll enjoy seeing explored more in the coming weeks. 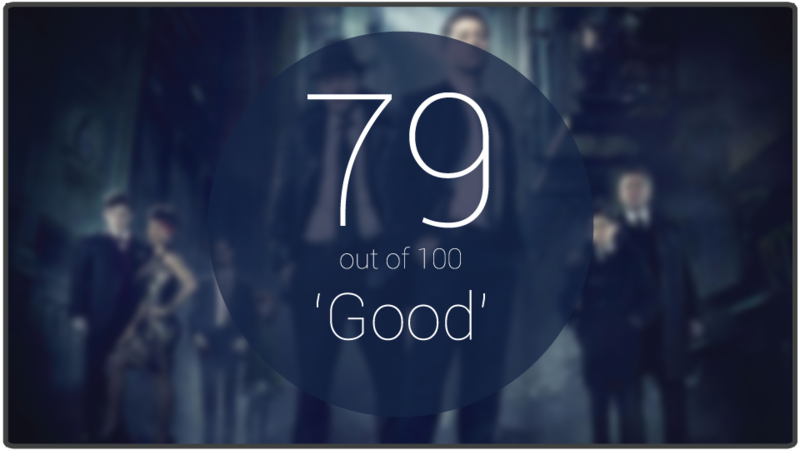 I like what I’ve seen of Gotham so far, and with the level of talent on board, it should have no problem capitalizing on its solid start. Like Gordon himself, the pilot was a little rough around the edges although that is quite a common problem with pilots. A whole lot of characters were thrown at us this week with only a few of them getting substantial screen time, so hopefully they’ll evolve properly over the coming weeks into fully fleshed out characters. There’s plenty to like about Gotham, and we’ll know within a few weeks whether it can fly on its own without the big bad Bat. Can FOX show us a compelling version of Gotham City without its most famous citizen, or will it fail without the caped crusader? Let us know in the comments below. I think this show has a lot of potential though there are some teething issues here. Some of the dialog was a little heavy handed and it tried to introduce too many villains in the first episode but it did plenty right too. I share your positive reaction to Sean Pertwee’s Alfred and I was very impressed with Robin Taylor’s Penguin. I haven’t seen any preview for the next episode, but I feel the pilot was packed for the sake of foreshadowing. With all of the introduction out of the way, they can swap characters in and out without having an origin type situation.